The sparsely populated state of Arunachal Pradesh lies on the northeastern edge of the Indian subcontinent. The state has Assam and Nagaland on its south, Bhutan on its west, Tibet on its north and Myanmar on its eastern border. On your Arunachal Pradesh tour you get to see diversified flora and fauna, deep river valleys and the scenic sights together make the state a much desired and beloved destination for the tourists and vacationers. The historical picture of the state, however, is not very clear. And there are practically no records except some oral literature and ancient ruins. The region was inhabited by people of tribal origins. In the 16th century, the region was under the control of the Ahom kings. The tribes were mostly the Daflas, the Bangnisand the Monpas, influenced by Buddhist motifs and ideals. Other tribal groups were the Miri, the Tagin, the Apatanis etc. The Membas, the Ramos, the Boris, formed minor tribal groups. Climatic conditions vary depending upon the topography. The state experiences a hot and humid subtropical climate in the southern part. Moving towards the central areas the climate becomes cooler while in the higher reaches it is alpine. 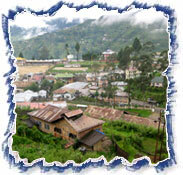 However, the ideal time to tour the scenic sights of the Arunachal Pradesh is between October and April. Perched at an elevation of 8000 ft, the tiny phenomenal town of Bomdila offers excellent views of the snow-laden Himalayan ranges. The Buddhist monastery of Bomdila is one of the many attractions that draws in tourists and travellers to this part of the country. Daporiji, located on the banks of the Subansiri, is ideal for trekking and angling. One can also head towards a fine group of caves that are located just a few kilometres away. The place can be reached by bus either from Itanagar via Ziro or from Likabali via Bazaar. Itanagar, the capital city of Arunachal Pradesh, is dotted with tiny beautiful earthquake proof buildings rising up the slopes of the verdant hills. These wood-built structures are truly a sight to behold. The Ita Fort and the Raj Bhawan are popular places of interests. And if your are eager to move a few kilometres away from the city, there are attractions like the Buddhist Temple, the Jawaharlal Nehru Stadium, the Ganga Lake etc. No wonder, there are a number of adventure activities in store as well. Lying at the foot of the Siang Hills, Malinithan is a deserted temple site. Being a place of worship, the city attracts a large number of devotees and tourists. Moving 5 km away from here, you will come across the Akashi Ganga Waterfalls, where pilgrims can be seen taking their holy dips. Pasighat can be reached by bus or car from Itanagar, North Lakhimpur and Silapathar. If you are willing to enjoy a ferry ride, you can opt for the Dibrugarh-Oiriamghat-Pasighat route. An excursion to the Dr. D. Ering Wildlife Sanctuary could be an interesting option for tourists and travellers. Here, one can also indulge in adventure sports like treking, river rafting, boating, angling etc. 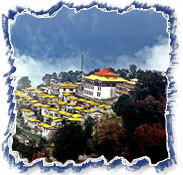 Tawang, located at an elevation of 10,000 ft, is internationally renowned for its 400-year-old Buddhist monastery. The monastery was founded by monk Mera Lama and is one of the biggest in India. The interesting images, thangkas and murals are truly worthy of notice. This centre of Buddhism can be reached by bus from Tezpur or Bomdila. Lilabari (North Lakhimpur, Assam) is the closest airport from here. There are regular flights operated by the Indian Airlines from Kolkata to Tezpur (216 km from Itanagar). The closest railway station is Hermuty (33 km from Itanagar).